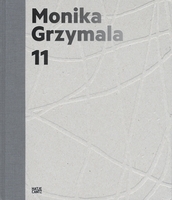 Hardcover, 8.5 x 10.25 in. / 136 pgs / 109 color. Text by Reinhard Ermen, Petra Kipphoff, Maura Lynch, Andrew Moore, Petra Oelschlägel, Elizabeth A. Pergam, et al. 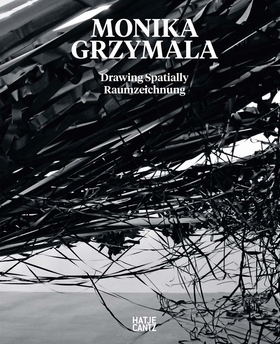 Berlin-based installation artist Monika Grzymala (born 1970) generally describes her work as “spatial drawing,” which she sees as thought carried out manually, a sort of “physical thinking.” This monograph presents her impressive three-dimensional sculptures, architectural pieces that evoke the lines of a drawing. Edited by Elena Winkel. Text by Petra Kipphoff, Catherine de Zegher. 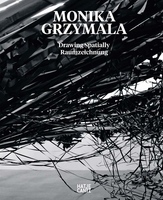 Interview by Elena Winkel. FORMAT: Hbk, 8.5 x 10.25 in. / 136 pgs / 109 color.